SYRACUSE — Two were arrested after officers discovered drugs at a residence. 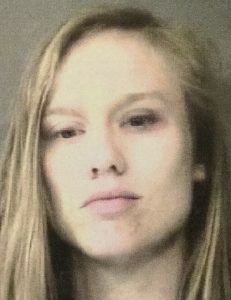 Tara Michelle Akers, 27, 957 N. Old Orchard Drive, Warsaw, is being charged with possession of methamphetamine, a level 6 felony; possession of a controlled substance, a class A misdemeanor; and possession of paraphernalia, a class C misdemeanor. Kegan Charles Young, 203 S. Front St., Syracuse, is being charged with dealing in methamphetamine, a level 4 felony; possession of a controlled substance, a class A misdemeanor; and possession of paraphernalia, a class C misdemeanor. On Sept. 21, an officer with the Syracuse Police Department was dispatched to Young’s residence. 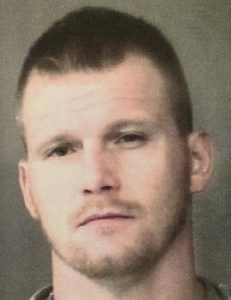 The officer was informed that the Noble County Probation Department was performing a home visit with Young when they located drug paraphernalia in plain view. Young also informed probation that there was methamphetamine in the residence. Upon arrival, the officer spoke with three individuals, two of whom were identified as Young and Akers. The officer searched Young’s room and found a smoking device, a clear bag with a white powdery substance that tested positive for methamphetamine, and pills that were identified as Alprazolam, a controlled substance. One Noble County probation officer advised that Akers had handed the officer a glass smoking pipe and a pill bottle. Inside the pill bottle, the officer located a pill identified as Clonazepam, a controlled substance. Two clear plastic bags containing a clear rock-like material that tested positive for methamphetamine were also located in the pill bottle. Akers has an initial hearing set at 8:15 a.m. Thursday, Nov. 8. Young has a pre-trial hearing set at 3 p.m. Monday, Nov. 26.